Less Cost. Less Waste. Less Impact. 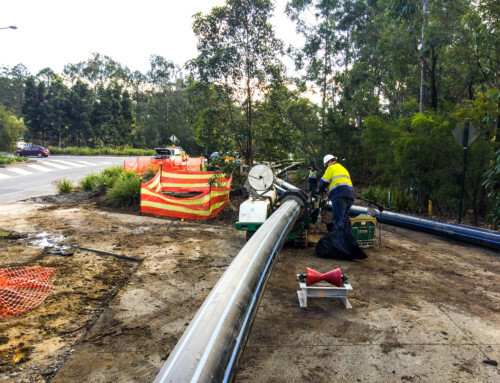 Downer PipeTech were engaged by Sydney Water to renew existing (CICL) Cast Iron main on Elizabeth Drive, Liverpool. 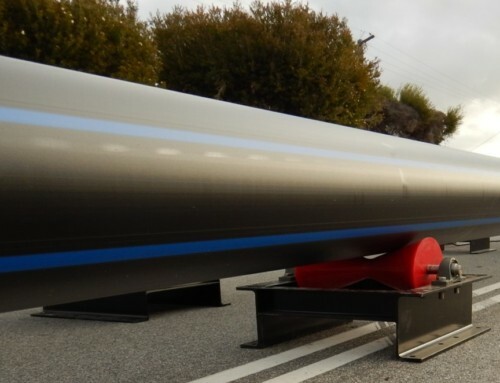 The system upgrade included sliplining of 875m of DN400 PE main, install by open trench of 5m of DN100 DICL, 92m of DN150 PVC-O, 20m of DN200 DICL, 1m of DN200 PE, 1m of DN250 PE, 29m of DN300 DICL, 1m of DN375 DICL and 7m of DN450 DICL mains. The need for remediation of the existing 1939 DN450 CICL critical water main was required due to the increasing failure rates and to improve the system resilience and up time. The main risks and challenges of this particular project included that the continuity of the water supply to a nursing home was maintained at all times, ensuring that there was minimal disruption to all stakeholders. Stakeholder engagement was also a key consideration as were the restricted working hours due to the RMS requirements regarding this project. 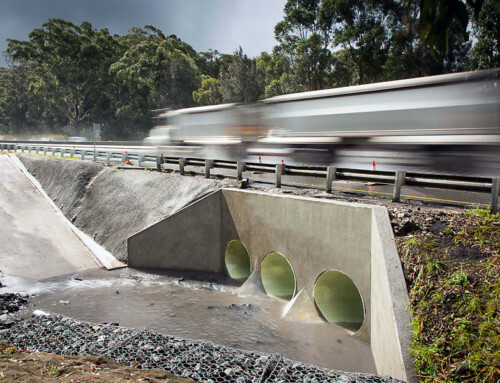 The highlights of this project included the first use of Plasson DN400 x DN250 PE saddle offtake fittings in Australia which were found to be more efficient than conventional PE tee cut-in. 3 months of continuous night work within a major road corridor and exposure to over 500 community members resulted in only one customer complaint which was rectified as soon as it was identified. 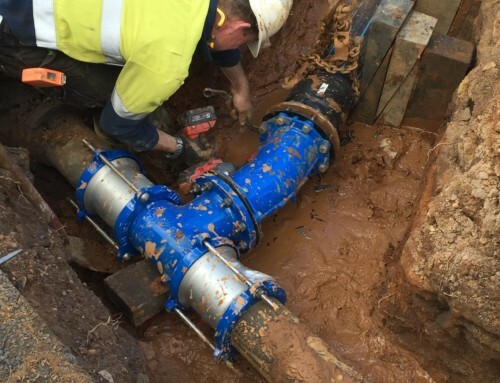 In addition, water main isolation and connections were planned and implemented to minimise pressure loss to Liverpool CBD and surrounds and an 800m DN400PE slipline section installation was performed in a single night and was completed 3 hours ahead of schedule. ITS approached this project by ensuring that a secure fenced compound was established at the corner of Elizabeth Drive and Park Road in Liverpool. After consultation with RMS, ITS ensured that our three crews were utilised concurrently to minimise the disruption timeframe to adjacent customers and to minimise the traffic impact duration. 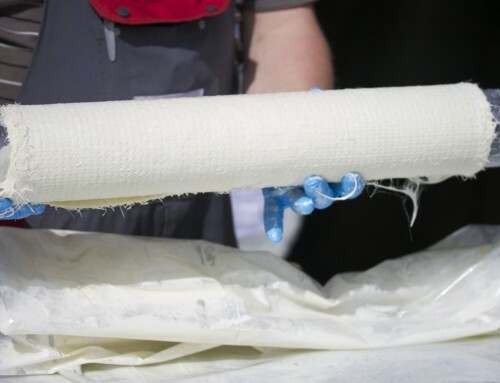 Our aim is to be the contractor and employer of choice for providing infrastructure maintenance and rehabilitation services throughout Australia. Develop and maintain strong, mutually rewarding relationships with our customers and continually develop our business as and when necessary to respond to client needs in an innovative, safe, responsible and sustainable manner.